Listing courtesy of NEREN / Tom Whittaker / Whittaker Real Estate, Inc. 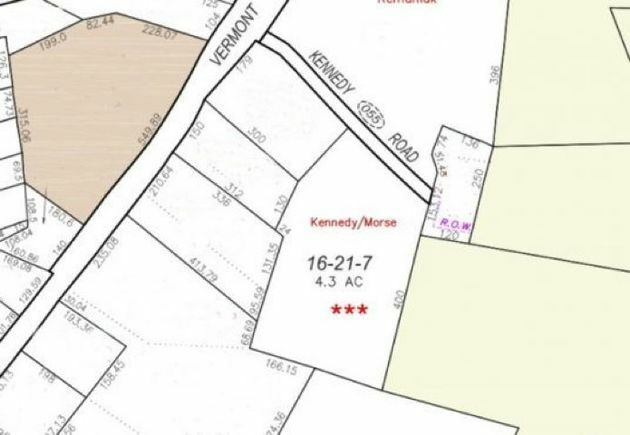 The details on 0 Kennedy: This land located in Brandon, VT 05733 is currently for sale for $49,900. 0 Kennedy is a – square foot land with – beds and – baths that has been on Estately for 375 days. This land is in the attendance area of Neshobe School and Otter Valley Uhsd 8. Listing Courtesy of: NEREN and Whittaker Real Estate, Inc..